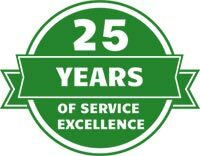 About GroundMasters - GroundMasters Landscape Services, Inc.
For over a two decades, GroundMasters has been helping Denver Metro organizations enhance and maintain their commercial landscapes efficiently and economically. We strive to develop solid, long-term partnerships with the property managers, and facility supervisors with whom we do business. Our primary goal is to exceed expectations through outstanding service and well-maintained, cost-effective, and attractive commercial landscapes. GroundMasters is comprised of an experienced team of lawn care specialists, landscapers, irrigation technicians and snow removal experts who are passionate about working outdoors and serving the needs of our clients. We are dedicated to quality workmanship, efficient execution, environmental stewardship, and most importantly beautiful landscapes. Our highly motivated staff and ongoing training initiatives ensure that we are ready to handle whatever landscaping project comes along. When you choose GroundMasters as your property maintenance partner, you are choosing a landscape contractor who is dependable, delivers value, and pays the utmost attention to detail.